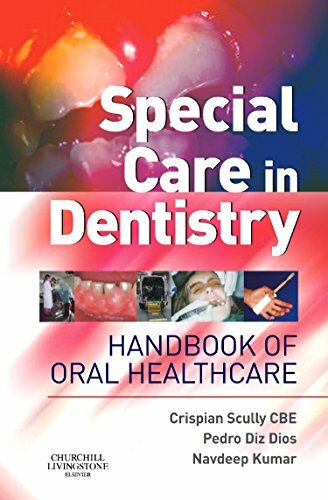 A comprehensive and concise information source on special care dentistry. Crispian Scully is a Director of the World Health Organization Collaborating Centre for Oral Health-General Health; and is emeritus Professor at UCL. He is Co-Editor of Oral Diseases, Medicina Oral, and Associate Editor of the Journal of Investigative and Clinical Dentistry. Crispian Scully is Past-President of the International Academy of Oral Oncology, European Association of Oral Medicine, British Society for Oral Medicine and British Society of Disability and Oral Health, he has served as Dean in Bristol and UCL; on the General Dental Council; on the Councils of the Royals colleges in Glasgow and Edinburgh; and on committees of NICE and CRUK, He has written and edited over 45 books, written over 150 book chapters and has over 1000 papers cited on MEDLINE. He has received the CBE, University of Helsinki Medal of Honour, University of Santiago de Compostela Medal, University of Granada Medal, Fellowship of UCL, and honorary degrees from the Universities of Athens, Granada, Helsinki and Pretoria. He has received the UK Dental Award for the Most Outstanding Achievements in Dentistry, the Awards of the Spanish Society for Oral Medicine and the Hellenic Society for Oral Medicine, and the International Award of the Spanish Society for Oral Surgery.